Over the years, Sharp Aviation K, Inc. has provided Aircraft Ground Handling and Airport related services at seven major airports in Korea. 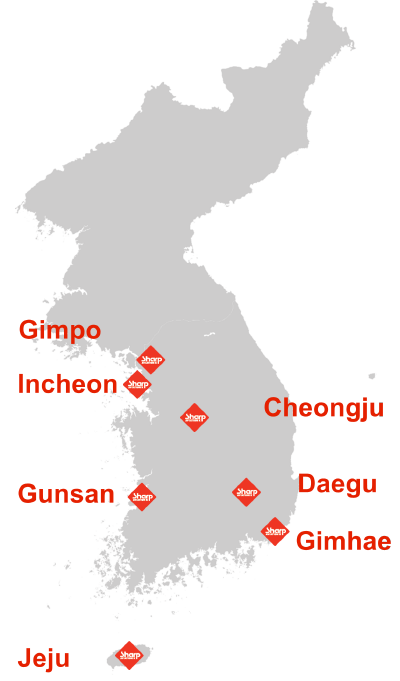 Sharp Aviation K, Inc. is the largest independent Aviation Service Company in Korea. Our Award-winning Ground Handling provides full range of aviation services at 7 airports in Korea. We serve and handle annually 5 million Passengers and 140,000 tons of Cargo.